As Memorial Day approaches, we observe and honor the men and women who have died while serving in the U.S. military. One of the newer holidays in our nation, originally known as Decoration Day, it was created in the years following the Civil War and became an official holiday in 1971. With most if not all Americans off for this special celebration, how exactly do we celebrate the memorial day holiday? Originally the holiday was to honor only those lost during the civil war, but after WW1 the holiday was changed to incorporate all of those who have given their lives. 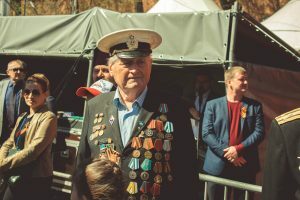 There are many traditions that are carried across the towns of the United States such as parades incorporating military personnel and members of veterans’ organizations. Some families usually have a patriotically themed bbq and celebrate by inviting veterans in the community. Some families how their kids how to appropriately fly the flag and the meaning behind it. Parents can say the pledge of allegiance with their children and talk to them about what those words really mean. Some families visit war memorials and pick out flowers to leave in honor of the soldiers who died fighting. Another option to is visiting veterans who may be in the hospital or a Veterans of Foreign Wars post. During the day a National Moment of Remembrance starts at 3 p.m. local time. Leas by the current POTUS, we read prayers for peace and lay wreaths on the graves of fallen soldiers. It’s important to take the time to spend with your family, but let us not forget the real reason we celebrate this holiday. There have been millions who have died faithfully serving this country to give us freedom. It is important that we recognize their resolve and appreciate what they have done to keep us safe. So be sure to let the veterans in your family, neighborhood, or friend group that you appreciate their service. ← Cessation Treatment Becoming an Expansion of Medicaid?